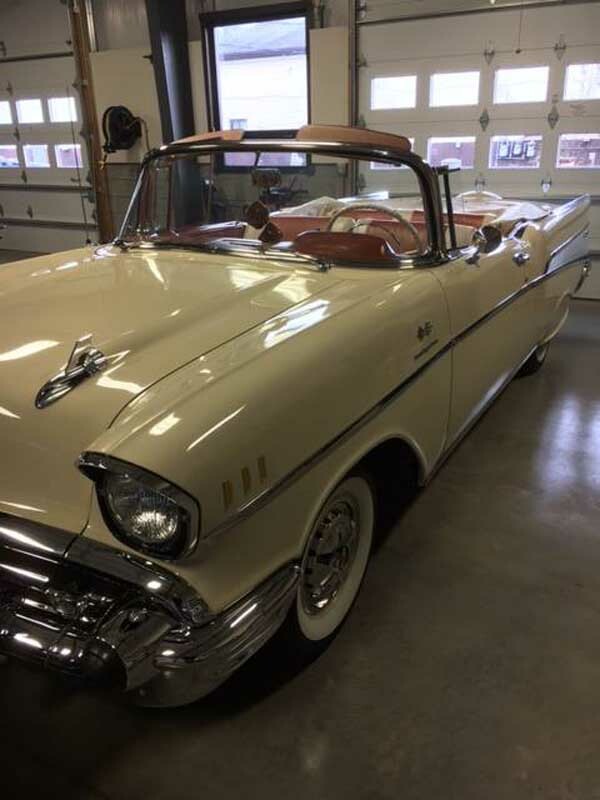 The 1957 Chevy dual exhaust systems all used 2″ head pipes with floating 3 bolt flanges cross over pipes and equal length mufflers with 1 7/8″ tail pipes. 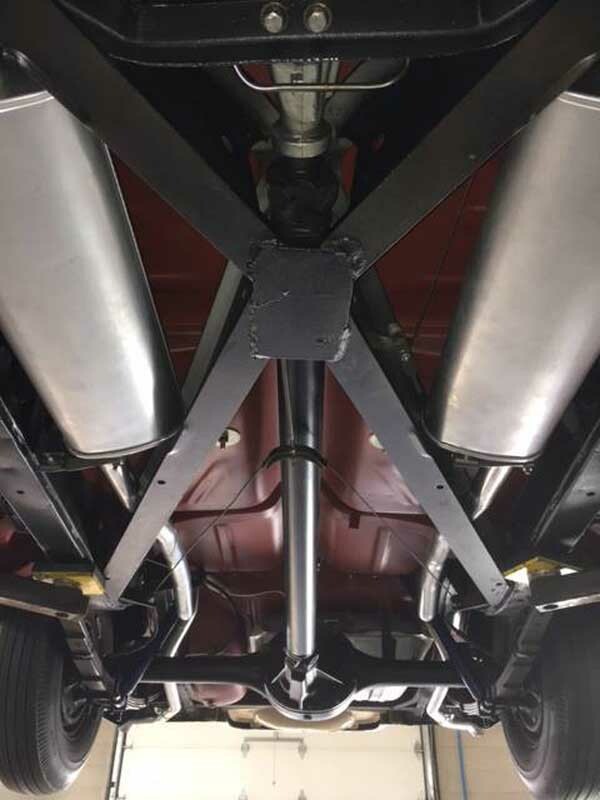 Our exhaust system has been reproduced from our originals. 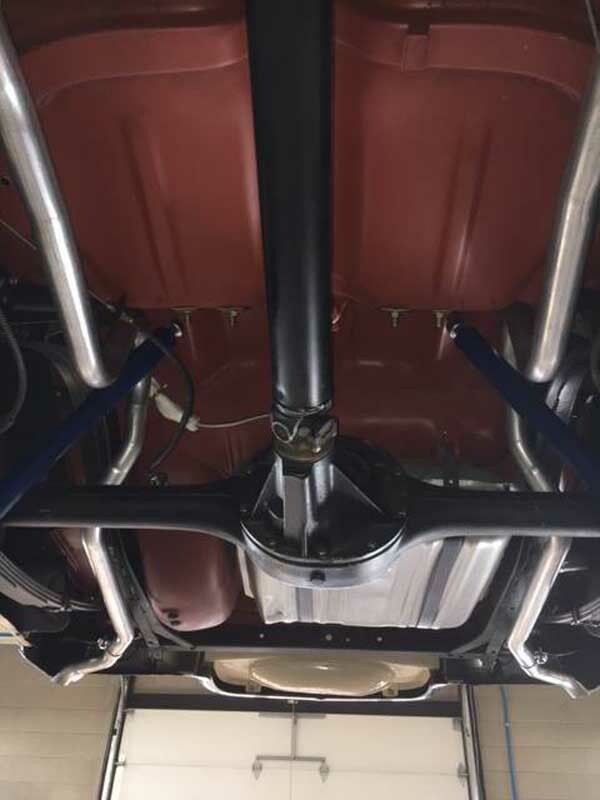 The system comes aluminized with the correct flanges welded on, correct gaskets, correct head pipes, correct cross over pipes, correct reproduction mufflers, correct tail pipes with correct angle cut and flat, correct clamps, installation instructions, diagrams and sealant. 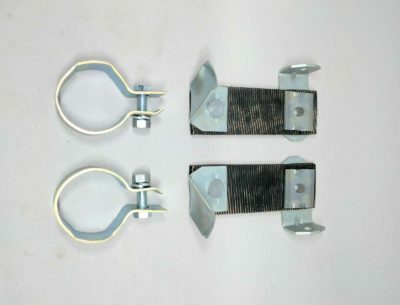 Correct reproduction hangers and fasteners are available with the kit as well as correct heat riser and gasket. 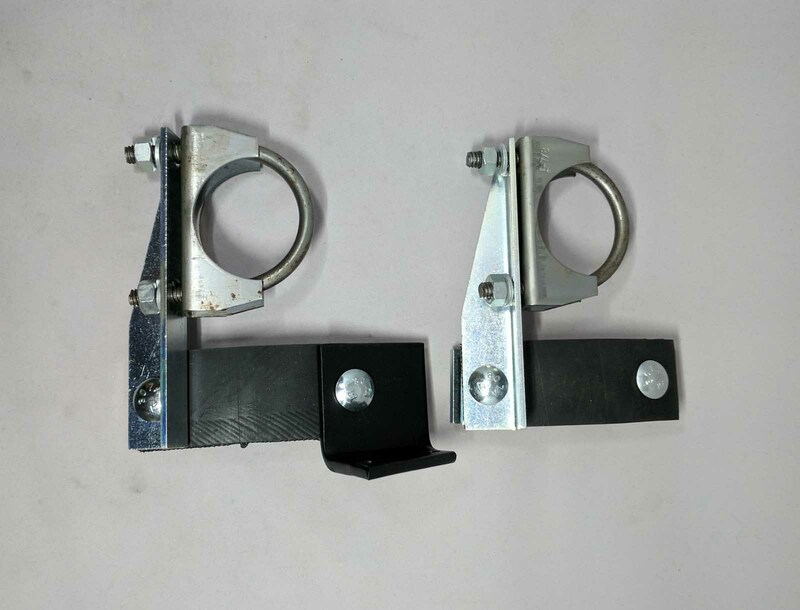 These hangers are a reproduction of the 1957 chevy front hanger seen here. Although they are not our reproduction we do put them together and change some of the components so they are a closer reproduction to the original. 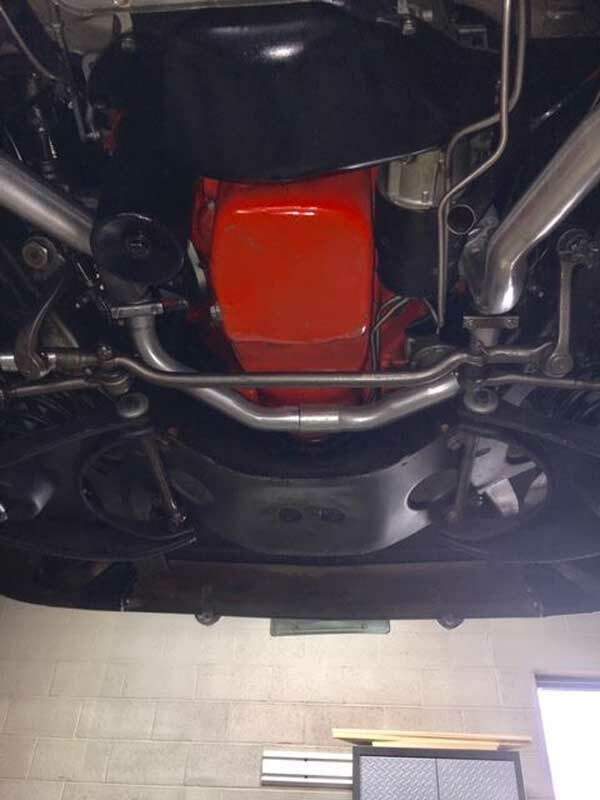 They come hand built with correct corded rubbers and bolts as well as the correct Gardner Exhaust reproduction u-bolt. They come zinc plated for longevity. These hangers are a reproduction of the orginal hanger seen here. . Although they are not our reproduction we do hand build them with the correct corded rubbers and componentry. 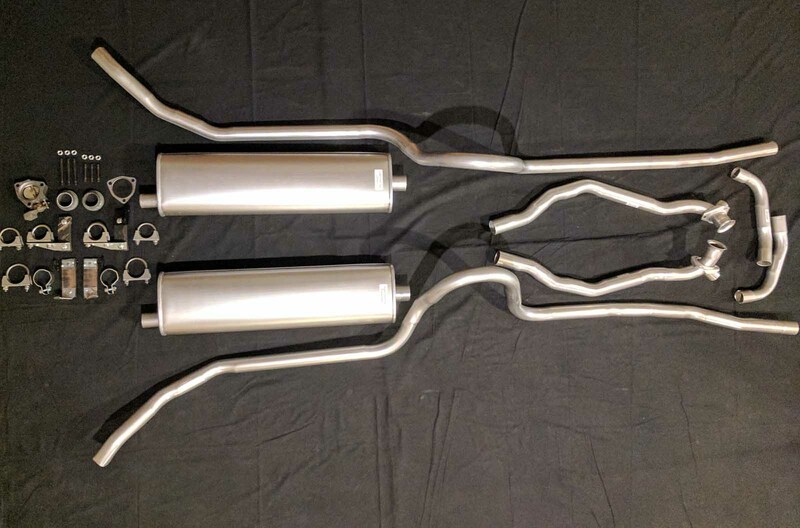 They come zinc plated for lengevity and are available with any of our 1957 Chevy exhaust kits. 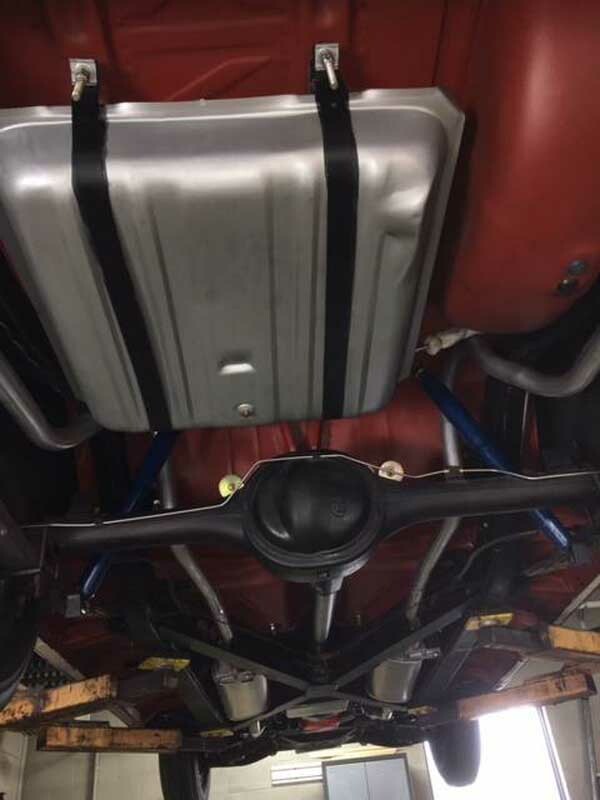 This is the correct small block heat riser for the 1957 - 1973 Full Size Chevy and Corvette small blocks. 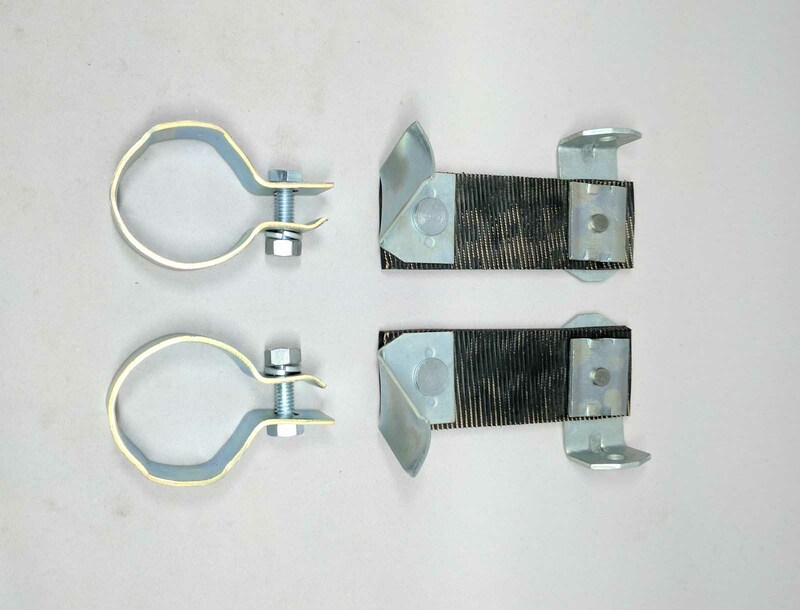 These heat risers are an excellent reproduction of the original and are available with any of our Full Size Chevy or Corvette exhaust systems.